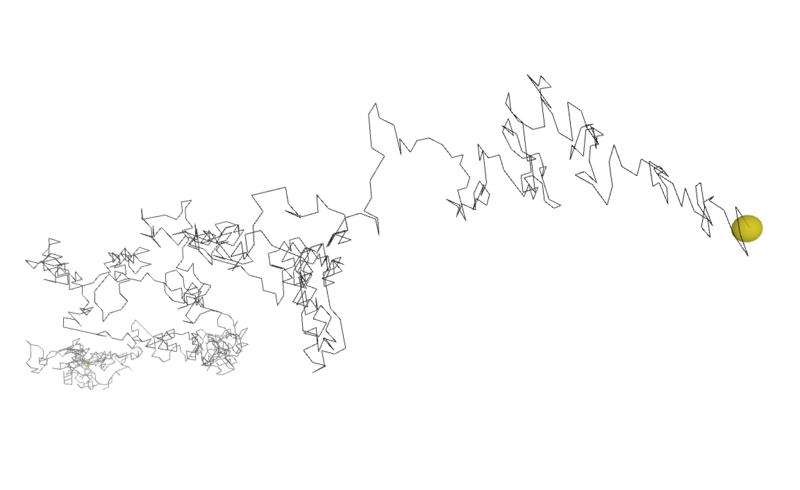 Random walk based on the decimal expansion of pi (from the previous post), but this time in 3d space. Created using Processing and OpenGL. Click on images for full-size. While John Venn is best-known for the Venn Diagram, Alex Bellos mentions Venn’s other invention in his quite-good book “Here’s Looking at Euclid” (page 231). Venn was the first to create a “random walk” or “drunk walk”. Using the decimal expansion of pi, each digit is seen as a cardinal direction. I’ve updated Venn’s experiment slightly (his ignored the numbers 8 and 9) – each number from 0-9 rotates the direction of movement by a factor of 36º and takes a step 20 pixels forward. The above image is the first 1120 decimal places of pi, starting at the gray dot. 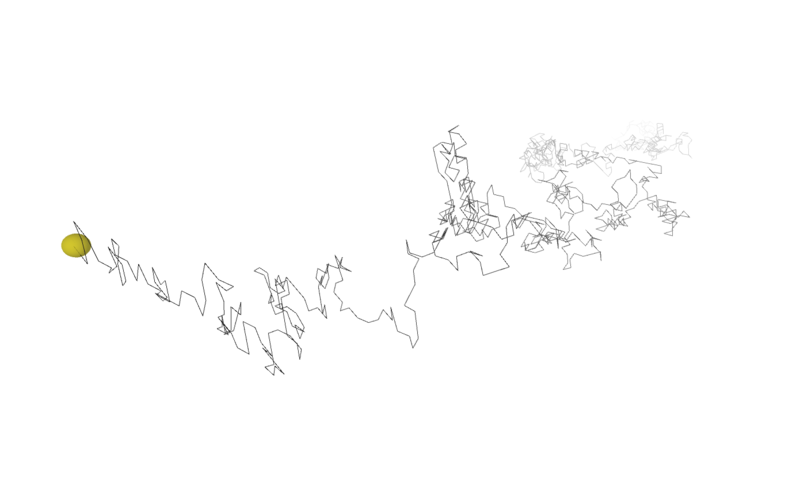 Created using Processing.